Thank you for all the work and sacrifices you have endured to get us here. But your work is far from over. It’s over turn to pick up the torch you left behind. Our civil rights are still at stake and our lives are in jeopardy. You taught us what we must do and we’ll carry it out in your name. Your spirit will light the way. Your words will be our compass. And our actions will bring us closer to your dream truly being fulfilled. 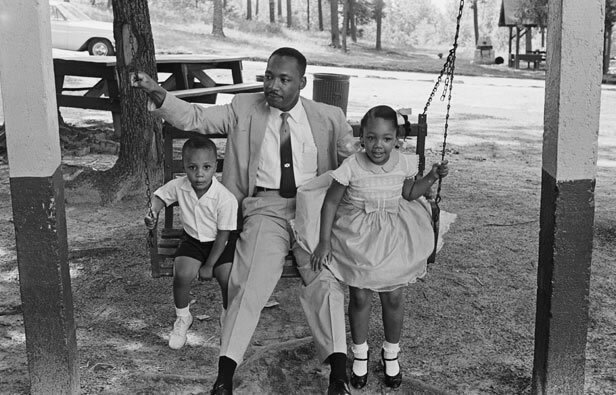 Thank you, Dr. King and Happy 87th Birthday. Happy MLK day, everyone. I know most people think it’s a day off to sleep late (sorry, but I’m so guilty, hence the timing of the post) or catch the Macy’s, Huffman Koos, or whatever sale that’s marketed to the civil rights giant. And frankly, who hasn’t fallen prey to that scheme; a day of rememberance turns into a commercialized shopping spree. It’s unfortunate that MLK’s day of service isn’t pushed with that same enthusiasm. Maybe, it’s because we forget. Not only what Dr. King has done for the WHOLE human race, but that he was just a man. An extra-ordinary man, but a man nonetheless, who sacrificed his life, sacrificed watching his kids grow, sacrificed his safety for us. All of us. To be one. Yes, prophet, savior, so many high-esteemed characteristics are tossed at his memory, but the fact remains he was just a man with flesh, blood, feelings like all the rest, which makes his contributions to the world all the more enlightening. If he helped rock the world with the few resources (eloquence, devoted followers and an organized mission) he had at his disposal, imagine what we can do with our generation?